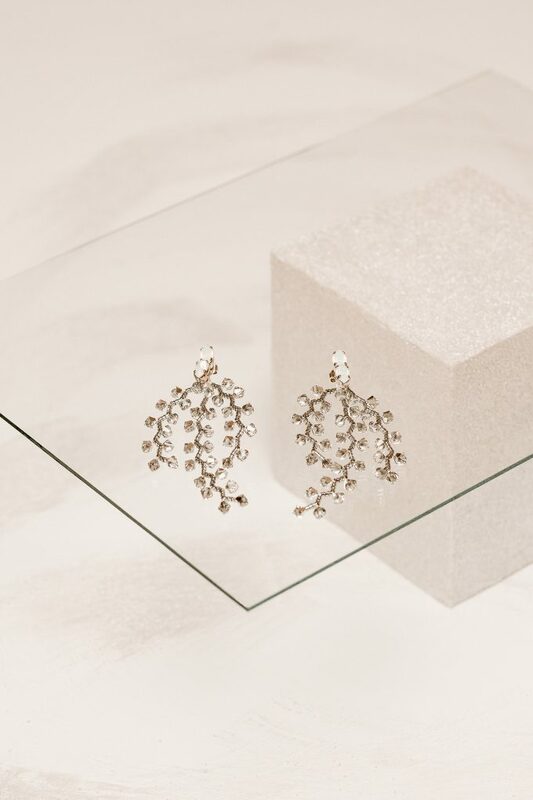 The Signature Magnolia Atelier Swarovski crystal branches are gathered into these beautiful statement earrings. 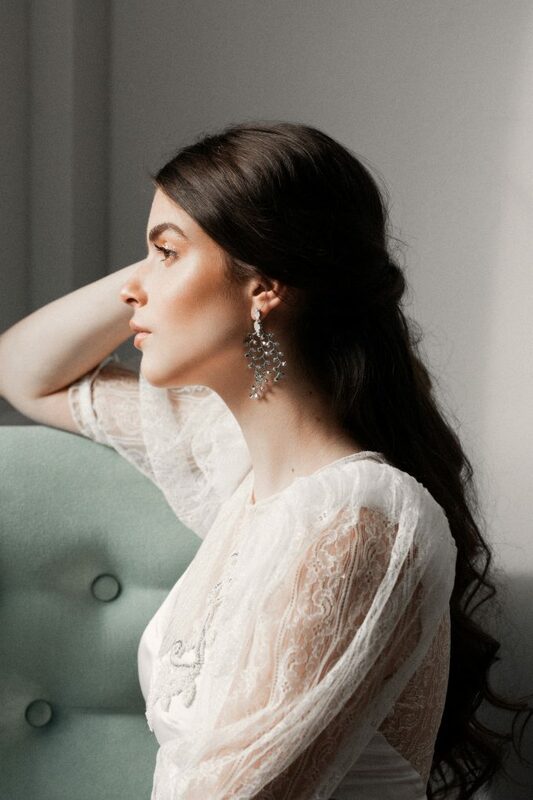 We recommend to wear them together with Lucent Ore headpiece ( make sure you select the same color when ordering both) or you can choose wearing only them for a more minimal but sophisticated look. Finished with a silver stud and made from silver plated flexible wire.